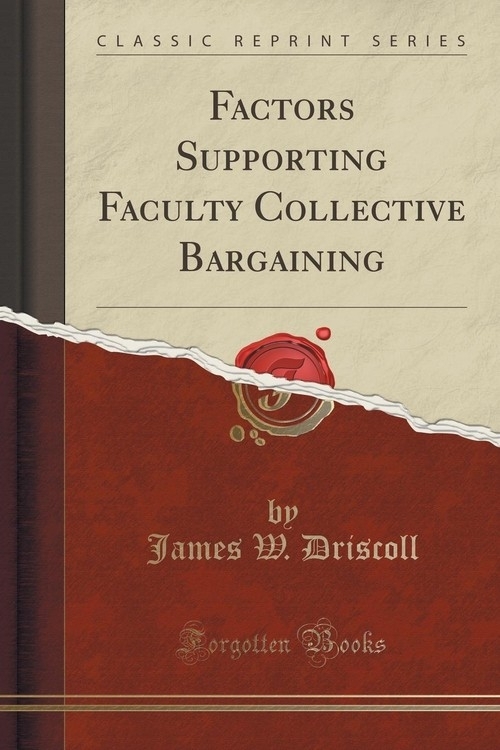 Opis: Factors Supporting Faculty Collective Bargaining (Classic Reprint) - Driscoll James W.
Dr. Gruenfeld is on the faculty at the New York State School of Industrial and Labor Relations, Cornell University. We thank Ann E. MacEachron for developing the Guttman scale used in this study. She, along with Lawrence K.Williams, Richard B. Darlington, Thomas Kochan, and Lee Dyer, provided helpful comments on this paper. The New York State School of Industrial and Labor Relations and the General Electric Company provided financial support for this study. Szczegóły: Factors Supporting Faculty Collective Bargaining (Classic Reprint) - Driscoll James W.
Recenzje: Factors Supporting Faculty Collective Bargaining (Classic Reprint) - Driscoll James W.